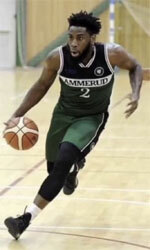 Nift Al-Janoub (IBL) signed 22-year old American guard Kaylon Tappin (185-88kg-96). He just graduated from Henderson State University (NCAA2). Tappin has played there for the last three years. A very impressive season as he was named to All-GAC 1st Team. 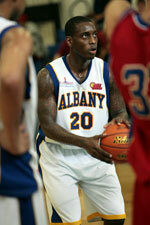 In his senior year in Henderson State University he averaged 18.5ppg, 3.8rpg, 2.4 apg, 1.5spg in 28 games. As mentioned above he is just out of the college and it will be his first season as a pro. Tappin played in the final of NJCAA D2 Region II in 2015.